This tiny, lightweight headset fits unobtrusively in one ear. You can switch the Eclipse rather effortlessly between phone calls and high-quality music. 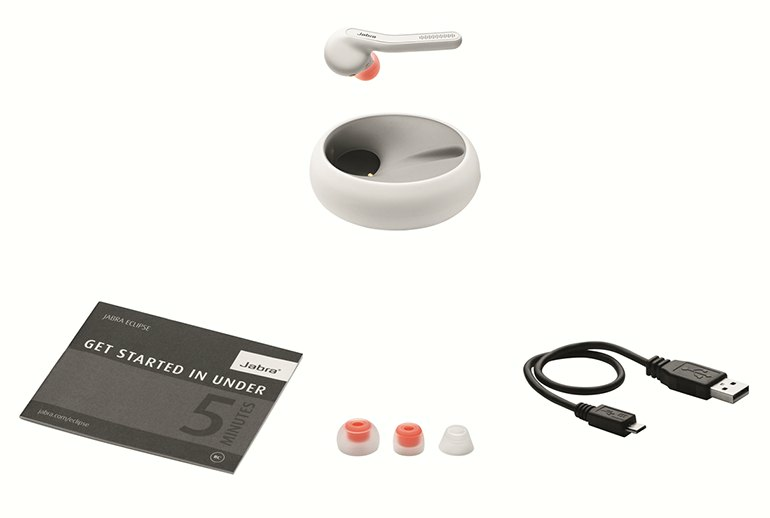 The headset comes with a portable pod that doubles as a carrying case and battery recharger. Battery life is only about three hours, although use of the headset can be extended by up to another seven hours when the device is placed in the pod. Listening to music in one ear only can be a disconcerting experience. 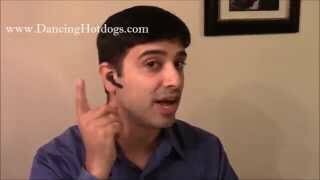 You might need to do a software update to the Jabra Assist software for the double-tap commands to work properly. 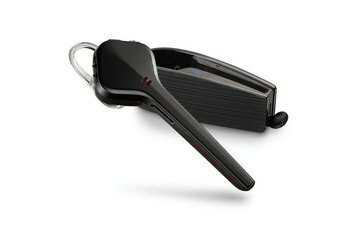 If you want to use a Bluetooth headset without being blatant about it, the Jabra Eclipse could be for you. 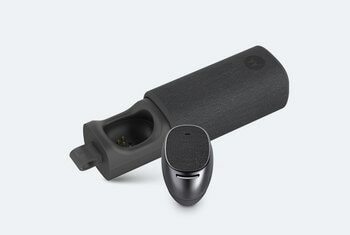 Weighing in at only 5.5 grams, the pint-sized device fits in a single ear. The Eclipse has no buttons. To switch from music to phone calls, you double-tap on the headset or utter the command "Answer." The music quality produced by the built-in speaker is high quality. The Eclipse comes packaged with a portable pod that serves as both a carrying case for preventing loss of the headset and a recharging station. The Jabra Eclipse is my personal recommendation if you want an amazing Bluetooth headset. Not only does it look like something out of a James Bond movie, it also packs amazing features and sound quality as well as an impressive battery life. The little black thing that the Jabra is nestled in within the box is actually the storage and charging unit for the headset. There's a little magnet inside and it feeds right in with a positive contact feel. I like it a lot. 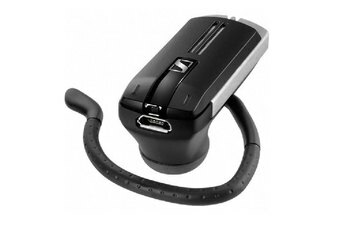 The Jabra Eclipse is a very able and reliable Bluetooth headset. If you find yourself on the road with frequent phone calls, the Jabra Eclipse could be a life saver. It is super-slick, easy to use, very light-weight and value for money. The Jabra Eclipse claims to offer 10 hours of talk time, which is useful because people who own these sort of things tend to go on (about themselves) quite a bit. Despite its 5.5g weight Jabra claims there's a "music-grade speaker" inside it, teamed with HD voice support and noise cancellation tech to keep things clear when you're talking to mum about which pub's the best for a Sunday roast. Stylish; Excellent audio quality; Charger makes for a total of ten hours of use per charge; Works with Google Now and Siri; Unobtrusive; Comfortable. 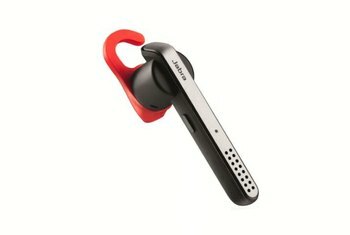 I have been testing out the Jabra Eclipse headset for almost a week now. It's sleek and simplistic design has made it one of the most attractive product to own. It is very suitable for busy professionals, as its design supplements the image of a professional very well. The Jabra Eclipse is a really slick Bluetooth headset. 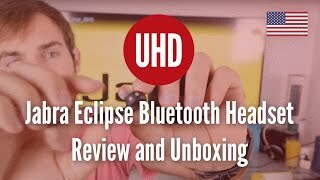 If you have problems using other Bluetooth headsets because of their bulk or fit on your ear, I would urge you to try the Eclipse. With it’s superior sound quality and lightweight design, you won’t be sorry. Whether you’re at a busy airport, in your car or walking down a noisy street, sound remains clear thanks to Jabra’s noise cancellation technologies. The only thing people on the call will ever hear is your voice, giving you a new kind of freedom to take and make calls without ever having to consider your environment. That pod then doubles as a carrying case and as a portable charger so that you won't have to worry about finding yourself suddenly out of juice. 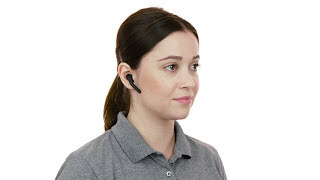 The Eclipse, the earpiece to be precise, can easily and quickly switch from music to calls simply by double tapping it. No need for buttons, which helps make earpiece lite and petite. The Eclipse is definitely sleek, feels well-built, and is barely noticeable when it’s in (plus it doesn’t require any awkward ear loops). We could wear it for hours, and call quality on both ends was excellent, even in noisy conditions.